See the Download v6 | Ubuntu page for installation and upgrade instructions. The packs can be installed or upgraded on Windows 10 and have been used to update the installations for other Linux and macOS platforms that use Docker to provide a self-contained environment, see Download v6 | Linux and Download v6 | macOS. 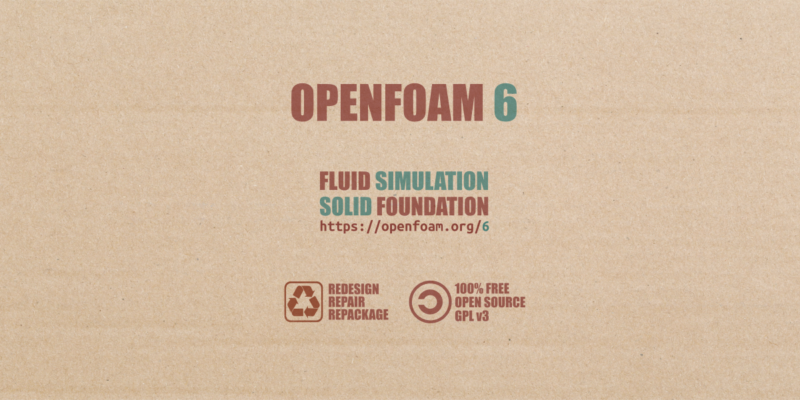 The version-release source repository for the latest major version release — currently OpenFOAM-6 — that incorporates latest code fixes without breaking backward compatibility. This produces the following output for the initial release and first patched versions of OpenFOAM-6. The OpenFOAM-6 repository is tagged with the subversion number so that users can reference the source code corresponding to a particular pack exactly. Using the tag, the corresponding source code can be obtained either as a tar.gz archive or using Git. The same source code can be obtained from the repository using Git, e.g.